There is a bridge connecting Heaven and Earth. It is called the Rainbow Bridge because of its many colors. Just the other side of the Rainbow Bridge there is a land of meadows, hills, and valleys with lush green grass. When a beloved pet dies, the pet goes to this place. Here there is always food and water and warm spring weather. The old and frail animals are young once again. Those who were injured are made whole again. They play all day with each other. There is only one thing missing. They are not with the special person who loved them on Earth. So, each day they run and play until the time comes when one suddenly stops playing and looks up. The nose twitches. The ears are attentive. The eyes are staring. And this one pet suddenly runs from the group. You have been seen, and when you and your special friend meet, you take him or her in your arms and embrace. Your face is kissed again and again and again, and you look once more into the eyes of your trusting pet. Then you cross the Rainbow Bridge together, never to be separated again. Flyer Deibel, Cider Parella, Misty, Jayce Ott, Katie Jordano, Captain, Buster Bisbee, Goliath Deibel, Copper Sprague, Cindy Jordano, Sarah, Symphony Deibel, Walker, Patriot Deibel, Dream Crosby, Bo, Splendor Deibel, Challenger Deibel, Bud Miller, Traveler Hagins, Valor Deibel, Halo Deibel, Blues Crisman, Sonic Sprague, Chelsea Hough, Foodie Johnson, Cooper Miller, Smudgeon Musiek, Duncan Hood, Samantha Jordano, Elsa Higgins, Dixie Higgins, Carpe Diebel, Mocan Yourkonis, Blues Geary, Sonny Miles, Johnny Schnars, Slick Stebbins, Glory Deibel, Tex Sensor, Agape Deibel, Lisa Campbell, Sampson Wolfe, Tracker Deibel, Christy Wunz, Maggie Becker, Carrerra Deibel, Justice Deibel, Boss Abt, Apollo Deibel, Herme Kroh, Jodie Hough, Jack Deibel, Winnie Batdorf, Sonny Batdorf, Emma Miller, Kiki & Kasper Shenk, Julie Jordano, Ice Deibel, Styx Hakel, Blitzen Fleming, Antonio Jordano-Carter, Patches Wunz, Bryce Bartlett, Phantom Guth, Buck Bisbee, Rachel Crosby, Elkhart Lewis, Cool Girl Masella, Chase Guth, Rebecca Malinowski, Bonnie Meyer, George Abt, Zeus Deibel, Duke Hock, Jerry Williams, Flash Henry, Josie Daubenspeck, Trooper DeMarrais, Shadow Musiek, Brazil Kernin, Nite Lite Corbin, Mariah Sotus, Tamra Gilbert, Sonya Metzler, Lynny Montgomery, Bill Griffin Drapcho, Allie Kernin, Chester Wunz, Oprah Guth, Murphy Miller, Zoom Torrelli, Cassie Hough, Brindy Cady, Sydney Brown, Jazz Sensor, Ty Fedyshin, Spencer Miller, Madam "Maddie" Torrelli, Mountaineer Armstrong, Chaz Wunz, Time Miller, Hank Torrelli, Isis Young, Amber Jordano, Mystic Torrelli, Seven Kroh, Phoenix Kernin, Kimono Young, Captain Jackson, Rockin Robin Smith, Fozzie Jackson, Zippy Smith, Mirage McAdoo, Lucy Richards, Pumpkin Eriksson, Jenni Mathis, Lucky Kernin, Zoe Davis, Max Kendziora, Krystal Bruno, Raven Twaroski, Magnum Herbst, Harry Brown, Deacon Miller, Gracie Mathis, Gracie Barilla, Cozy Smith, Jed Richards, Legacy Twaroski, Kicker Jackson, Kaya Mathis, Sam Higgins, Gretta Flink, Hayden Anderson-Rizzo, Whisper Torrelli, Sly Fox Smith, Corey Smith, Sandee Torrelli, Gus Miller, Waylan Michaels, Casey Henry, Tanner Mathis, Sugar Babe Jordano, Cyrus Sperry, Oscar Hanks, Gracie Erikkson, Teak Guth, Barron Guth, Cinnabon Metzgar, Rosie Kernin, Vixen Malinowski, Raina Twaroski, Wyatt Lorei, Magnus Rizzo, Allie Gannoe, Euphara Smith, Leo Musiek, Bailey Wunz, Eire Jordano, Gizmo Elliot Jordano, Ozzie Miller, Cole Lord, Lily Miller, Charger Seibold, Mazi Waldinger, Dallas Kernin, Smokey Miller, Fritz Cady . 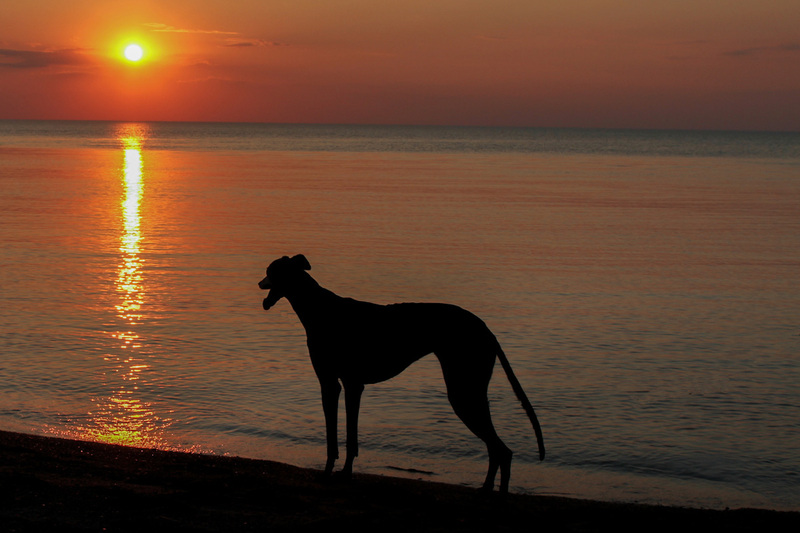 . .
And all of the other greyhounds who have touched our lives with their humor, grace, beauty, and love. They are forever winning races! For here, you know, I wait." Monica Joyce. Monica was active in the placement of retired greyhounds in the New York City area and was affiliated with "We Adopt Greyhounds" (WAG). "Monica's Heart" greyhound placement service in Altoona PA was so named to honor and remember her. Steve Irwin (AKA The Crocodile Hunter). No, none of us knew Steve Irwin personally. You didn't have to know the man to admire and respect his devotion to the conservation of wildlife and his love for many animals that most people would ignore or outright fear. Here was a man who took over a small family zoo in Australia and built it up to be a world class attraction known the world over while at the same time educating the world about animals large and small. That's a pretty good legacy. Steve Irwin leaves behind his wife Terri, children Bindi Sue and Robert, his father, and his extended family at the Australia Zoo. "Crocs Rule!"